Old Jameson Distillery in Bow Street, Dublin, claims to be the most-visited whiskey experience in the worldCredit: Gpelogia via Wikimedia. 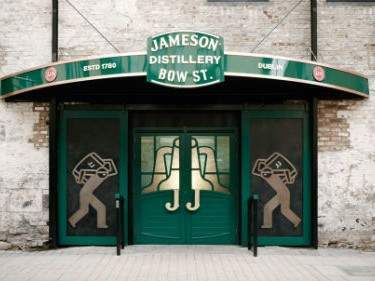 Irish whiskey brand Jameson’s Old Jameson Distillery in Bow Street, Dublin, claims to be the most-visited whiskey experience in the world. The distillery has welcomed 350,000 visitors since it re-opened in March 2017 following an €11m refurbishment. The Old Jameson Distillery was founded in 1780 and the brand’s whiskey was distilled there until 1975 when the Midleton distillery at County Cork was opened in a streamlining attempt. The Irish whiskey brand offers five experience packages for visitors at its Dublin distillery; a distillery tour, whiskey blending class, cocktail-making class, tasting experience and cask draw experience. The public can also visit the Midleton distillery for a tour and tasting experiences. Pernod Ricard owns Jameson and the global alcohol producer and seller’s managing director of brand homes and education Claire Tolan said: “In one year alone, we have welcomed visitors from over 70 countries, taught 32,000 whiskey enthusiasts how to blend whiskey and create whiskey cocktails, served over 50,000 Jameson whiskey sours, sold 25,000 personalised distillery Jameson edition bottles and facilitated four marriage proposals in John Jameson’s secret office. “Our redeveloped Jameson brand home draws on technology to complement the historic surroundings of the iconic distillery to deliver an unforgettable experience. Jameson products are distributed in 122 countries worldwide and the company has the largest share of the global Irish whiskey market, which is estimated to total 22 million bottles annually.